I am delighted to introduce some stunning and amazing value collections for Christmas 2013. The collections are hand-picked products and combined in collections for any of your needs. Whether you want to boost radiance for the party season, hydrate a dull, dry skin in the winter months or combat the signs of ageing, you will find something for you from the selection below at unbelievable prices. 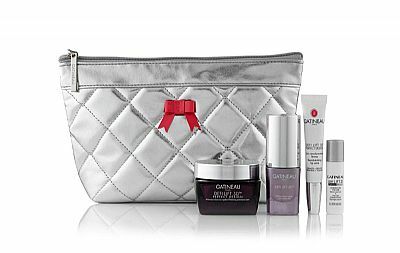 SOLD OUT A perfect collection of treats providing a sensational skincare routine to target the visible signs of ageing. 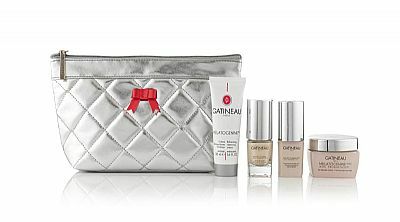 This kit offers an ideal way to discover the powerful results of Gatinueau, and will leave skin flawflessly cleansed, moisturised, smooth and radiant. ONLY 1 LEFT The perfect winter-revival collection focusing on restoring hydration levels to dry and dehydrated skins. Formulated to hold-in moisture, these daily and weekly treatments are ideal to boost moisture levels and act as a barrier against harsh environmental aggressions. Treat the delicate lips, neck and decollete to a well-deserved anti-ageing boost with this fantastic trio of advanced skincare. Featuring the brand new formulation of Firming Throat Gel, to instantly smooth and tighten the neck and decollete. Designed with high-tech formulas and cutting-edge technology, this colagen-supporting and cell-plumping collection instantly provides a smoother, firmer, and more more youthful appearance. A line-up of well-loved customer favourites, these products have been formulated to give your skin the luxury it deserves. Put the "spring" back into your skin this winter with these targeted firming and defining products. Crammed with DefiLIFT 3D technology, this kit provides the perfect skincare programme to restore volume, firmess and tone.